Thread: Greetings from N Mn! Hello! Avid shooter here from N. Mn. Hope everyone is having a fantastic new year. Thanks for allowing me on the site! Welcome from Lake Charles, La. 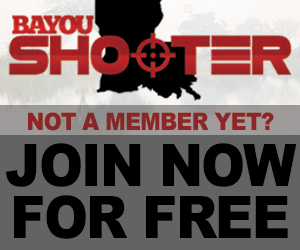 Welcome to Bayou Shooter. Where it’s warm! Welcome to BS. I’ll be flying to Duluth in September on my way to the Boundary Waters. Love the North woods and fish. All times are GMT -6. The time now is 05:36 PM.